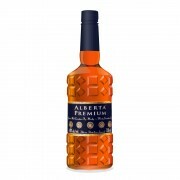 Alberta Premium is known in Canada for their high rye content. In fact, the "stock" Alberta Premium is made from 100% rye. Dark Horse was available in the United States under the name "Dark Batch" for awhile, though I'm unsure if it still is. 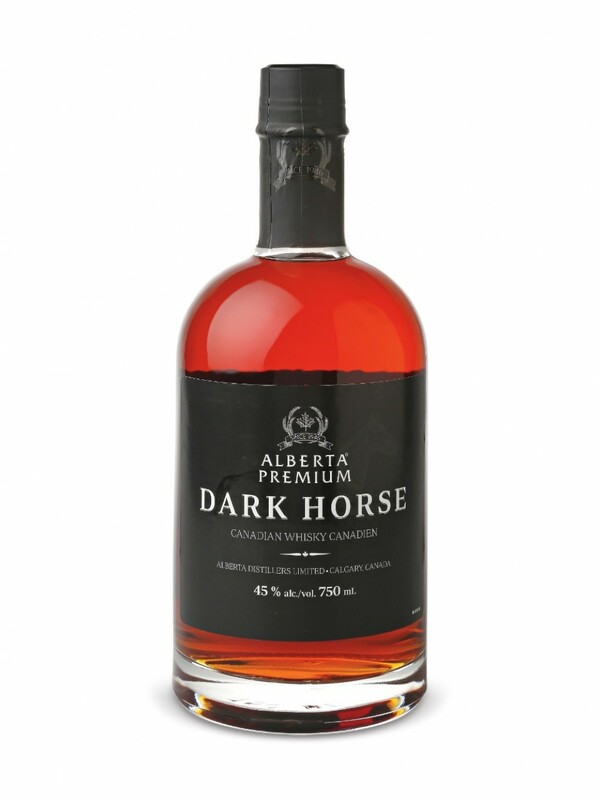 Dark Horse is a unique whisky. While some whiskies (and rums) are aged in ex-sherry casks for added fruity sweetness, Dark Horse has sherry added direclty into the mix. Why would Alberta Premium do this? Why to save money, of course ! What do you think happens when a single malt scotch is aged in ex-sherry casks? The sherry that had infused the wood is "re-released" into the whisky. So it's just 99% rye and 1 % sherry? Well, not exactly. According to canadianwhisky.org, Dark Horse is a "mingling of 12-year-old rye whisky and 6-year-old small pot rye, Dark Horse has an 8% dollop of well-aged corn whisky added to flesh out the body. The whisky is aged in heavily charred American white oak barrels, and is bottled at 45% alc/vol." Dark Horse also contains 0.5%-1.0% sherry wine by volume. Rumour has it that the 8% corn whiskey is in fact Old Grand-Dad's Bourbon. Palate (undiluted): medium to light-bodied, a very bourbon-like arrival of vanilla and toffee, developing to brown sugar, maple, peppery rye, dark fruits (dates? dark cherries?) I would have liked it to be a bit "thicker" in the body. Adding water did NOT improve this whisky at all. In fact, with water most of the subtlety was lost and Dark Horse simply tasted like watered-down rye. I do NOT recommend drinking this with water. I found it a bit thin neat and adding water made it even thinner. Others, including Dave Broom, disagree. In his book, Mr. Broom gets more cherry-type fruitiness by adding water to Dark Horse. Perhaps our palates are different, or maybe mine is simply not as developed as Mr. Broom's. Probably the latter. Dark Horse does very well neat, or perhaps in a rye and coke. I'm just guessing about the latter since I don't drink rye and coke, but Dark Horse's finish leads me to believe it would work. I think I payed $30 CAD for my bottle of Dark Horse. It's better than any bourbon I've had at that price point and it can compete with most budget blended scotches, especially for those who don't like smoke or peat. Definitely a winner. 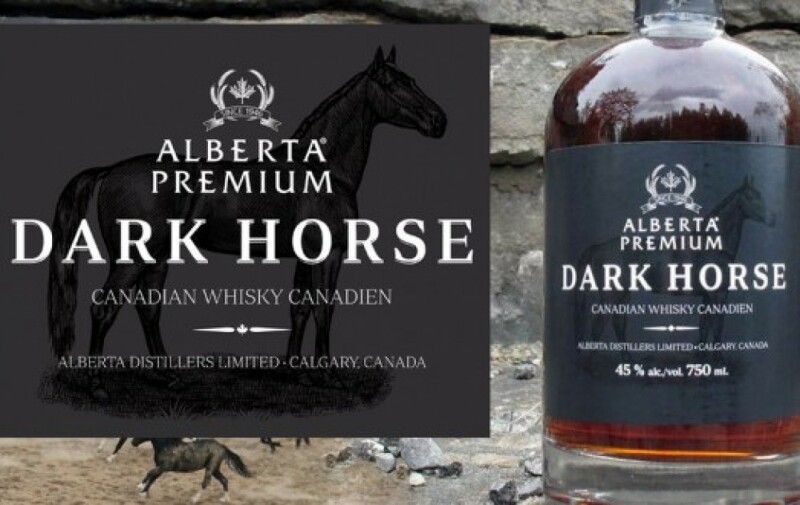 Alberta Premium Dark Horse Cleaning Products? @OdysseusUnbound, most people on Connosr don't consider a whisky scoring 80 points as "a winner"..., more of a "good enough to drink, but I wouldn't go out and buy a bottle of it unless I were desperate, and that was the only bottle I could get"
I denounce additives at every opportunity and consider them to be the biggest short-coming in the repertoire of Canadian whisky,...BUT, if you really want sherry in your Canadian whisky, adding straight sherry does give the opportunity to avoid completely the sulphured sherry cask issue. I had a horribly sulphured bottle of Forty Creek Barrel Select a few years ago. That would never have occurred if they had used straight sherry instead of sulphured sherry casks. If you want a simple soft drink rye whisky cocktail, try mixing it with Dr. Pepper over a lot of ice and with some sweet orange muddled in. I prefer using the Diet Dr. Pepper. Of course, the better the rye whisky you are using, the better the result. I suggest using real rye, like Lot 40 Cask Strength, not corn whisky "Canadian Rye" like CC. For best results use a rye at at least 50% ABV. While maybe in Canada a bourbon would be called a "corn whisky", a bourbon like Old Grand-Dad would never be referred to as a "corn whisk(e)y" in the US. In the US "corn whiskey" mandates 80% minimum corn content. OGD is roughly 60% corn, 30% rye, and 10% malted barley. Even with the now-diluted-down-to-40% ABV 'standard' Old Grand-Dad you will never taste any corn in that bourbon, only rye and oak. 30% is a lot of rye content, about the same as is used in Wiser's Legacy. @Victor I find whisk(e)y scoring kind of funny that way. Perhaps it's because I'm a teacher, but 80 out of 100 is a pretty darn good mark. If something was "drink only in case of emergency", I would personally score it around 65. I found DH far more interesting than Grant's Family Reserve Blended scotch, which was decent but one-dimensional. I don't really care for whisky + soft drink cocktails. My cocktail preferences lean toward the Old Fashioned, Dark and Stormy, Rusty Nail, Godfather, Rob Roy, Gin Rickey, and/or a classic Gin and Tonic. But I rarely drink cocktails. I'm not into putting a whole lot of work into my drinks. @Victor , I dig your commentary on them just pouring the sherry right in. Cut out the middleman! @OdysseusUnbound, I mention the rye cocktail with soft drink only because you mentiioned the 'rye and coke'. I consider the Dr. Pepper a better alternative than Coke for rye whisk(e)y, despite that fact that I am not a cocktail guy either. If you read the old archives of Connosr you will find multiple conversations about how best to do numerical scoring of whiskies for reviews and ratings. It always boils down to making yourself clearly understood by the persons reading the scores. A range in the choice for preferred scoring scales remains, and the opportunity for confusion will never completely go away. With your completely credible and understandable choice of scales for grading, @OdysseusUnbound, only some will be able to relate. Probably 70% of readers will completely disregard your calling the whisky "a winner" and not go near it because it was given an 80. The choice you have is whether to stay true to your pedagogical instincts or to have greater influence over the readers of your reviews. In the several times I have commented on this same issue over the last 6 years I have expressed that the scale I would choose for myself absent the social context is a much lower one than either your pedagogical scale, or the one which I now use. I reluctantly (grudgingly, you might say) have chosen to compromise in order to be understood clearly and to have people interested in reading my reviews. I think my assessment of this whisky is about the same as yours. I find it interesting that you say that you've never tasted a bourbon for the same price that was as good as this one. @Nozinan Neither of those bottles are available at the LCBO. The only OGD (that sounds gangster ) I can get is the standard 80 proof stuff, and it's $35. I freely admit that I am not very well-versed in bourbon. I was thinking of Jim Beam (which was my standard go-to for years), Jack Daniels (I know, I know, it's not technically bourbon), and Bulleit, all of which I enjoy, but I like Dark Horse more. Oops—I got mixed up on whose comments were whose. It was actually @OdysseusUnbound who made the "middleman" point I was talking about. Sorry if that was confusing. @Nozinan I have to find an excuse to get to Toronto. I was the Teacher's Union Rep for our school for 6 years, but my wife got tired of my frequent trips to "the city" (as we in Central Ontario call Toronto). I'll have to figure something out (that's pronounced "oot" for all our American friends who don't speak Canadian ). "Central Ontario" within 150 km of Toronto, @OdysseusUnbound? Anyone outside of Canada looking at a map would call "Central Ontario" about 400 clicks north of Marathon. I never get tired of hearing people say "oot". @Victor That's because they've never had a Torontonian explain to them that Toronto is the Center of the Known Universe. So Barrie and Midland are within Toronto's gravitational field....ergo, Central. Yes, Toronto is sort of the Canadian "Middle Kingdom". Several Connosr members have posted their locations as "GTA" which means absolutely nothing whatsoever to 99% of the world's population. Definitely sweet on the nose, found the finish to be on the shorter side. Grabbed it on sale here for $26. Not disappointed and could drink neat or in a mix.